After Ravi Mehta finishes his workday as a psychologist at the San Francisco Department of Public Health, he logs onto his computer at home to attend class at the University of California, Berkeley. This week, Mehta and his fellow students will have completed the inaugural courses of the On-Campus/Online Professional Masters in Public Health Degree Program, the first ever online degree offered by UC Berkeley. 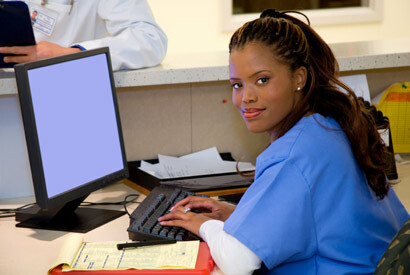 UC Berkeley's first online degree program will help address a growing shortage of healthcare professionals nationwide. Part of the impetus behind the pioneering online program is an estimated shortage of 250,000 trained public health professionals in the United States. In California alone, the shortage numbers 25,000 to 30,000, with the problem expected to worsen due to the projected retirement of 50 percent of the current public health workforce within the next five years. Providing access to quality education to more people would help alleviate the shortage of healthcare professionals, said Stephen Shortell, dean of the School of Public Health. According to the American Public Health Association, shortages in such fields as epidemiology and environmental health are particularly acute. “That means fewer people available to help investigate outbreaks and track diseases, and fewer people who can monitor and control pollutants that impact human health,” said Shortell. Approximately 450,000 paid, full-time workers—an estimated 45 percent of whom are employed in governmental settings—now comprise the national public health workforce. Such was the case for Mehta, who said he wants to pursue public health training to go from “intervention” to “prevention” in his work. Final approval to move forward with the School of Public Health’s program came in December 2011, and the school admitted an initial group of eight students for the Spring 2012 semester. The first two courses offered were Environmental Health Sciences and Biostatistics. The fact that students will move through the program together has had a positive impact on class dynamics, while the long reach of online learning is resulting in an interesting mix of students, according to instructors. That includes online graduate student Amy Ellerbe, a resident of Wasilla, Alaska. While UC Berkeley has offered online courses for years, the new masters in public health program is the first to offer a degree through an online/on-campus format. Another student, Dr. Timothy Ho, balances his online degree workload with his job as a family physician at Kaiser Permanente in Southern California, an administrator of Kaiser’s “Complete Care” disease management program, and a father of two school-aged boys. The launch of the School of Public Health’s program also comes in the midst of growing interest in online education at the University of California as a way of expanding access to its program and to help generate revenue without compromising academic standards. Last week, campus administrators announced the formation of an Executive Group charged with overseeing efforts and providing direction to the integration of online education into the undergraduate and graduate curriculum. While UC Berkeley has offered individual online courses before, and many courses now have an online component to them, the offering of an entire degree online is a milestone for the campus. The School of Public Health expects to reach the full capacity of 214 students by the end of 2015. Students will complete two courses per semester for a total of 14 courses in the seven-semester program to earn their fully accredited degree. As part of the on-campus component, students must also complete 15 days of face-to-face instruction, seminars and workshops on campus. To develop its program, the School of Public Health partnered with UC Berkeley Extension, the continuing education branch of the campus, which began testing online learning in the mid-1990s. With feedback from the students, the school and UC Extension have fine-tuned tools used to present instructional materials, developed methods of doing group projects, and enhanced discussion forums using multimedia tools. One such tool, called Voice Threads, allows students to leave comments on presentations using video, audio or text. Other tools are being tested on an ongoing basis. 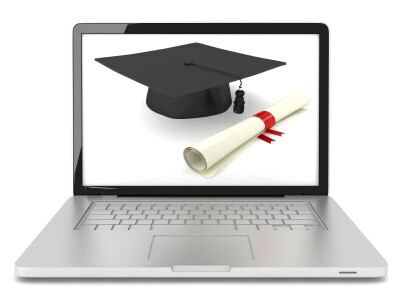 “When it comes to online education, there is no standardized one-size-fits-all solution,” said Hosang. Instruction for Environmental Health Sciences was led by Edmund Seto, associate adjunct professor, who also co-teaches the traditional on-campus course with Kirk Smith, professor of environmental health. Seto acknowledged the perception among some that online courses are less academically rigorous, but he pointed out that all the materials used in the online course are also used in the live, on-campus counterpart. Students must also take timed final exams under the supervision of a proctor in order to receive credit for the course. Seto said that there are logistical issues still being ironed out in the program, but that overall, this effort is worthwhile. “This is the wave of the future, and trying to make this work is very exciting,” said Seto. Admission to the program is on a rolling basis. More information about applying to the program is here.